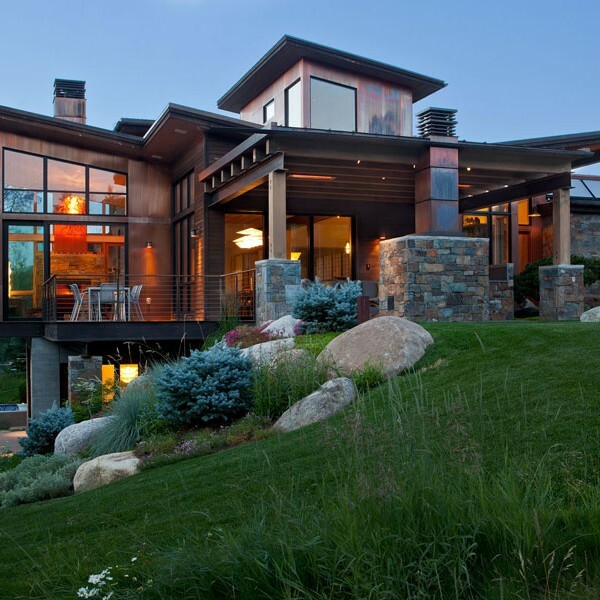 The Old Snowmass Ranch Residence is a working ranch overlooking the Elk Mountain Range. The main house and caretaker unit incorporate multiple sustainable features, including a ground-source heat pump, Solar PV system, Solar Thermal system, and a super insulated building envelope. The home has a seven (7) day battery backup of electricity and a supplemental electrical generator. A fully integrated building automation system controls the mechanical, electrical, security, audio / video, lighting and fire protection systems. There are several outbuildings on the property, including a horse and pig barn with hay and loafing sheds throughout the property, as well as an agricultural shop with an attached greenhouse. The property also has a stocked pond and irrigation ditch system.